I recently had the pleasure of reading a short book on the Angel of Portugal appearance at Fatima written by Father William Wagner, ORC (Order of Canons Regular of the Holy Cross. This angel is more commonly known as the Angel of Peace. 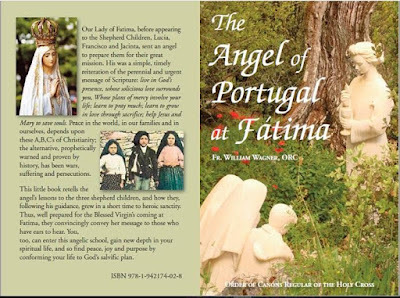 As we approach the 100th anniversary of the apparitions of Fatima, we are seeing many books published on the subject of the apparitions and our lady's messages. Some books are controversial in nature and should be read with care. The Angel of Portugal at Fatima is different. It tells the history of the angel's apparition to the three shepherd children prior to the Blessed Mother's appearance. Since the book comes from Opus Angelorum, much is learned about the angel's appearance to these little children. The angel appeared to the three children, six times just like our Lady did. Each time the angel appeared, he taught the children with many lessons. The spiritual growth and maturity of the children is quite remarkable in how little time they grew in sanctity and understanding. They progressed from fun-loving children to deeply reverent, with a mission to accomplish for the salvation of souls. These lessons are also applicable today, for all of us. It is quite interesting how much one learns about the angel, the Biblical connection, and even the Islamic connection. 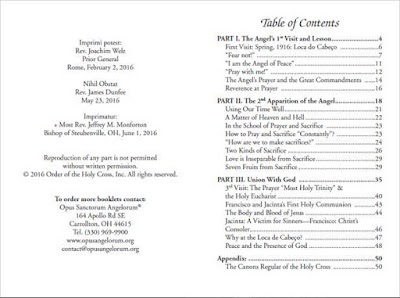 The emphasis on a loving God, Holy Communion, the Holy Eucharist is an important part of this book. You will read how the angel taught the children certain prayers and how to pray. He taught them how to make sacrifices for sinners and how the youngest of them all, really embraced this way of saving sinners. 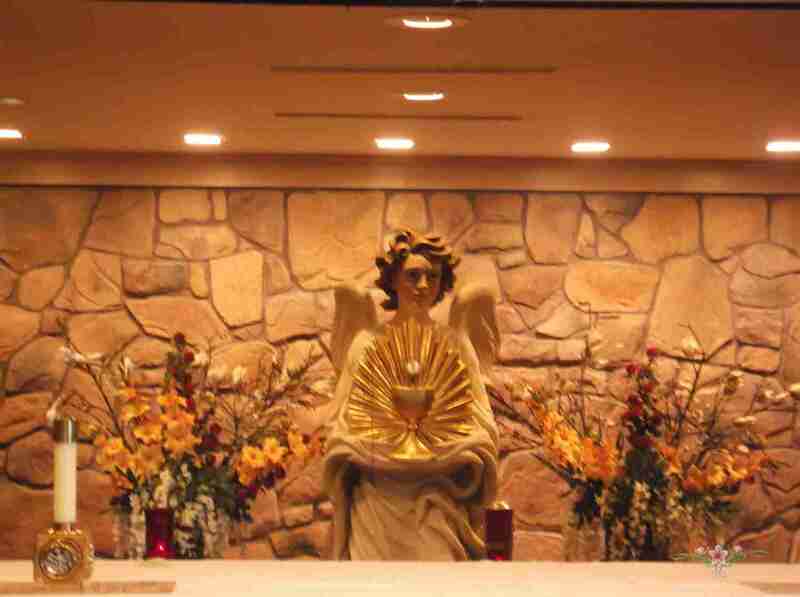 You will learn how little Francisco had a love our our Eucharistic Lord and was happiest during adoration. This is a book you want to read slowly and while taking notes. 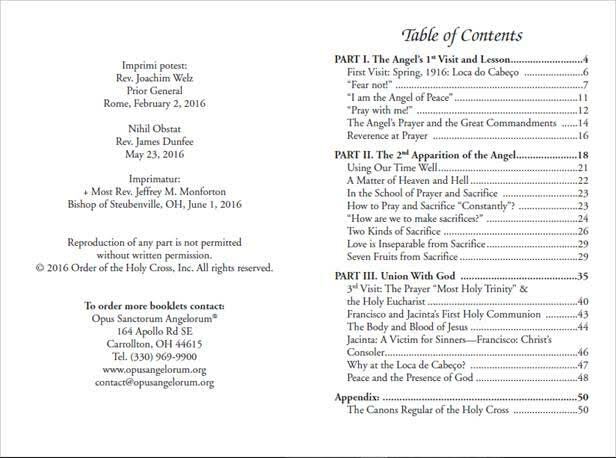 The release date for the book is July 12, 2016.